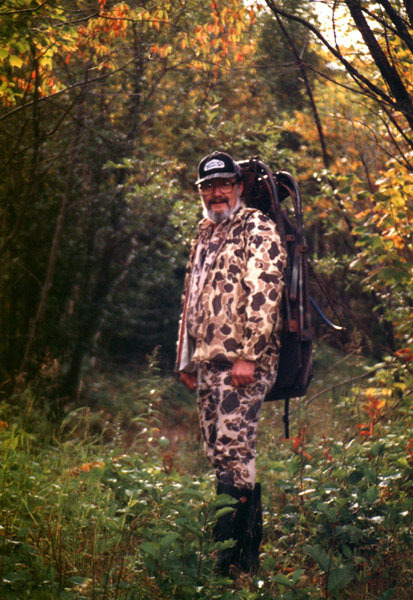 For expert whitetailed-deer hunters, few things are as important as understanding tracks. 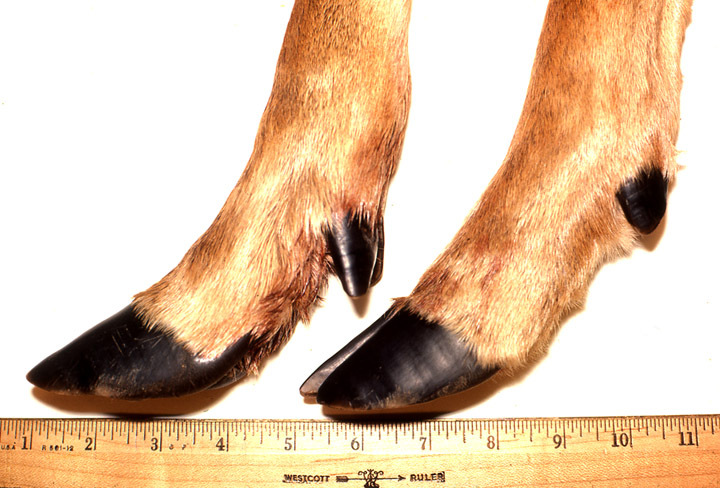 A hunter must be able to recognize, on the fly, front hooves vs. rear hooves, the meaning of track patterns, and — probably most important — how big the deer is based upon the track size. 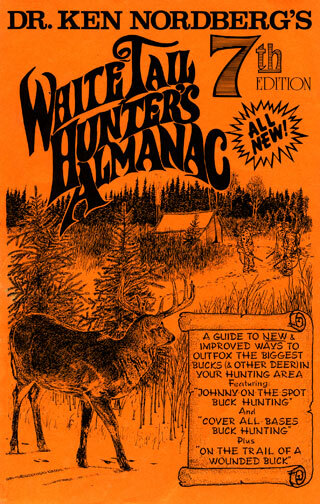 Like skilled hunters of yesteryear, every whitetail hunter today should be an expert at recognizing information provided by deer tracks. Track lengths identify whitetail fawns, yearling does, yearling bucks, adult does, 2-1/2 year-old bucks and 3-1/2–6-1/2 year-old bucks. Tracks reveal where specific whitetails live (home or breeding ranges), where they feed, bed and water and the trails they favor. Tracks indicate whether deer are alarmed or unalarmed and where they go when greatly alarmed. Tracks reveal when and where bucks are under the influence of pheromone released (via urine) by does in estrus. 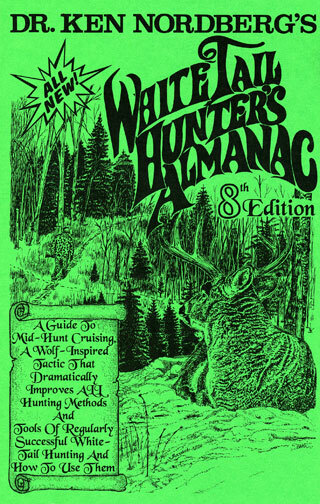 Information provided by tracks, and knowing when whitetails are likely to be on the move, periods during which whitetails are most vulnerable to skillful hunting, are the foundation for regular success in whitetail hunting. Doc has measured hundreds of thousands of tracks. While he can glance at a track and read it like a book, he understands the importance that measurements provide — and at 79 years of age, he still measures tracks. Track sizes classify the class of the deer and — this is always exciting — can identify specific trophy-class bucks. 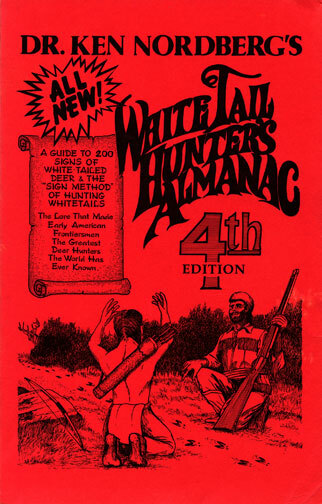 To accurately identify whitetails via track lengths, you need to carry a ruler. 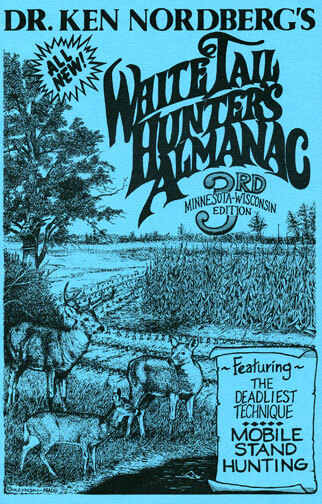 I've been identifying whitetails via track lengths for 27 years [over 40 years now] and I still regularly need a ruler to make sure I am properly identifying a deer by its tracks. Since I also measure lengths of deer beds (30–56 inches) to identify individual deer and their bedding areas, I always carry a six-foot retractable steel tape. Adult bucks being my exclusive quarries, my steel tape is especially important to me. I cannot be a regularly successful buck hunter if I do not regularly separate adult bucks from other deer by measuring deer tracks. The following fall and early winter track lengths (plus or minus 1/8-inch) are tip-through-dewclaw measurements of Minnesota whitetails. 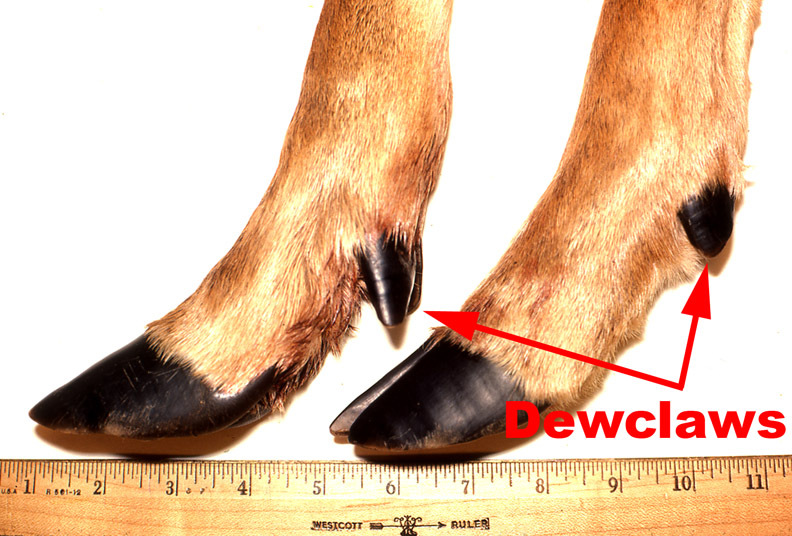 A dewclaw is the hoof-like appendage that makes a triangular impression in snow or soft soils behind each cloven hoof of a whitetail. When only hoofs are seen, add half of the hoof length to the total hoof length to get the tip-through-dewclaw measurement. These measurements are applicable throughout Canada and many other northern U.S. States, including Montana, the Dakotas, Iowa, Wisconsin, Michigan, Pennsylvania, New York and all other states of Upper New England. 3-1/2–6-1/2 year-old buck (195–310 lbs., very few bucks survive past age 7): 5-1/2–6 inches (some Iowa bucks have hoofs that measure up to 7 inches in length). Because whitetails vary in size from geographic region to geographic region (generally smaller as you go south), one set of track measurements cannot accurately identify whitetails in every state in which Midwest Outdoors is read. If you hunt whitetails south of the above states, you will have to do a little math work on your own to determine which tracks lengths identify which deer. There are a couple of ways to do this. You can begin with the average known weight of an adult doe in your hunting area (or state). If, for example, your adult does normally weigh 120 lbs. live, your adult does will have tracks that measure 4 inches in length, tip-through-dewclaw (two-thirds that for hoof only; i.e., 2/3 x 4 = 2–5/8 inches for tracks without visible dewclaw impressions). You can also begin with the actual measured length of a track of a deer accompanied by a fawn. Keep in mind, yearling does may also have fawns, so measure several tracks of deer accompanied by fawns in widely separated areas and then use the larger measurement. 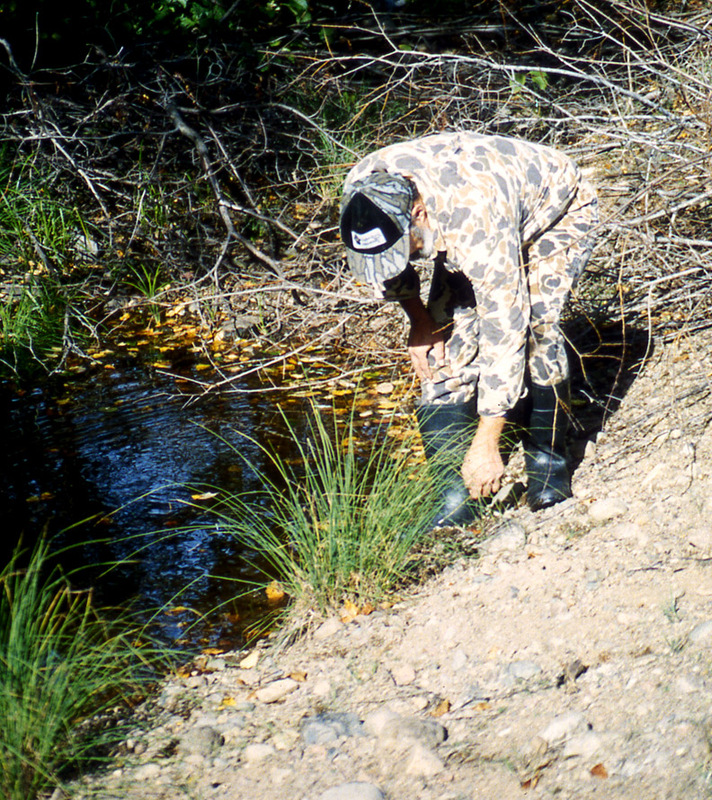 While you're at it, measure the lengths of the fawn tracks as well. Yearling buck tracks (not accompanied by fawn tracks) and adult doe tracks (accompanied by fawn tracks) are equal in length. If two deer with adult-doe-sized tracks are accompanied by fawns, it is almost certain one of the adult-doe-sized deer is a yearling buck. 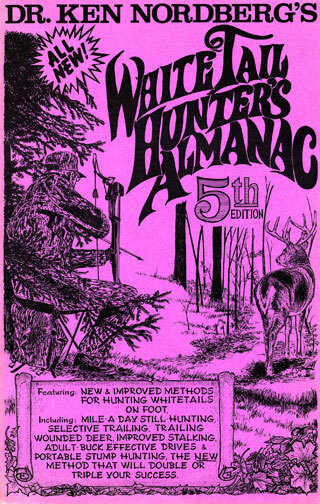 If you memorize these measurements and make frequent use of your steel tape, you will no longer merely wonder what kind of deer and how many live in your hunting area, and as you will discover, you will rarely be wrong. Whether you see adult bucks or not, you will hereafter have absolute evidence of their presence in your hunting area. You will know where they live, feed, bed and water and the trails they favor. 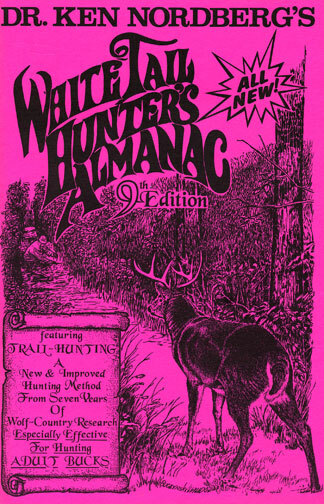 With such knowledge you can be a bonafide buck hunter, keying on one or more adult bucks only during a hunting season.